Marty told me I looked like I had a beer belly the other day. He said it very sweetly, in response to probably me wailing about how fat I am. I had just put on a t-shirt that we had bought from a brewery on our vacation and he thoughtfully looked me over and said, "no, it just looks like you are a normal girl with a beer belly." 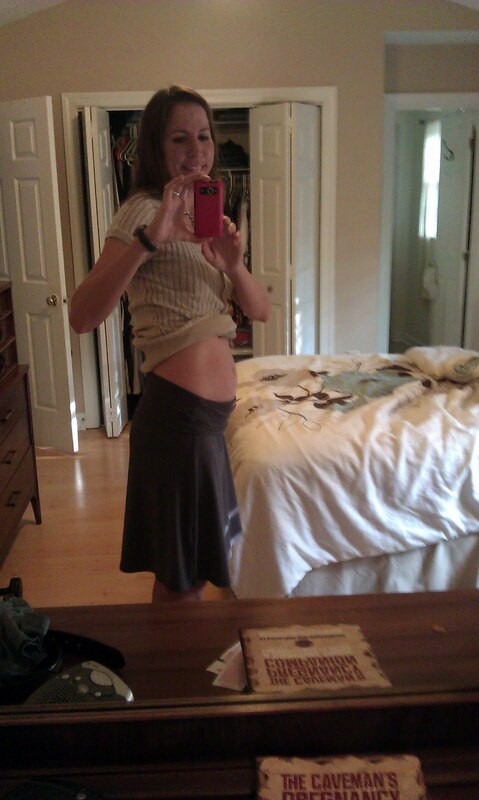 Here it is - 21 weeks, 22 weeks? I can't remember, somewhere around there!